The cooling weather is creating comfortable conditions on the shore of Casa Beach for our harbor seal colony to enjoy! Every day, more and more seals are being seen at the rookery, and numbers are expected to keep climbing as pupping season (December 15 - May 15) approaches. Are you planning a trip to the beach? Click here to check out our seal statistics page and find out how many seals are likely to be on the beach during your visit. In addition to predicting seal activity on the beach, you will also notice that after gaining the legal protections of 2014 and 2015, the Casa Beach harbor seal colony is thriving! Enjoy your time at the beach, and if you can, please count the number of seals you see and email them to sealcounts@sealconservancy.org. Maybe make it a fun game for the kids! Fun Seal Fact of the Day! Seals share a common ancestor with dogs and bears and have upper and lower arms and legs concealed within their skin. Only their hands and feet extend outside the body envelope. Donate - Any little bit will help! While the Seal Conservancy does receive precious support from volunteer staff, there is an abundant need for professional services when gaining and defending legal protections on the beach. We are proud to say that contributions from our passionate supporters have powered the success at Casa Beach! Volunteer - On the beach or from home! There is lots of work to be done, from counting seals to organizing events. Please email info@sealconservancy.org for information. Visit the beach - Show the City of San Diego how much you appreciate the safety of the seals and come enjoy the scene! Our City has fought long and hard for the protections at the beach. Let's thank them by continuing to safely enjoy the seals. Tell all of your friends, and bring your out-of-town family, to the gem at Casa Beach. 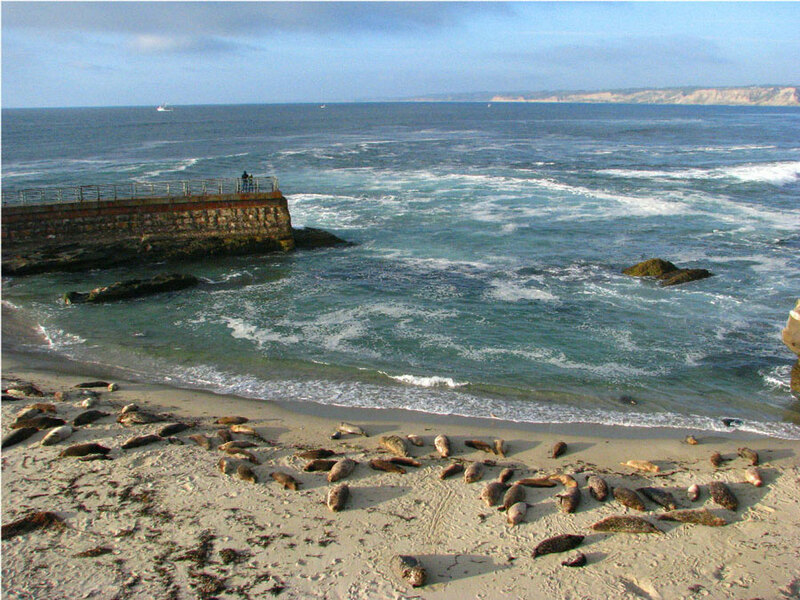 While you're there, please help the Seal Conservancy to protect the Casa Beach seal colony! All it takes is an email! Simply count the number of seals you see on the beach during your visit, and include this count, the time you counted them, and the date in an email to sealcounts@sealconservancy.org. You can also fill out our Seal Count form at http://sealconservancy.org/seal-counts/.